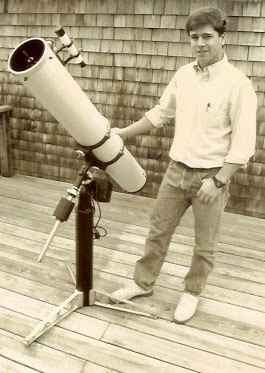 On February 11th back in 1989, Mike Petrasko and I were doing research for the Harvard-Smithsonian Astrophysical Observatory's SUNSEARCH program, headed up by amateur astronomer and big-rig driver Steve Lucas, which allowed us to concentrate on monitoring a particular group of galaxies for the rare occurrence of a supernova event. Mike had recently acquired a copy of the Thompson-Bryan galaxy charts, which were then available as individual reinforced cards. These cards are used in comparing the appearance of a galaxy through a telescope to a known representation of the galaxy and its accompanying star field. Any difference in telescopic appearance and chart appearance can be readily noted. We had set up in a secluded open field in N. Falmouth earlier in the night. It was early February and the temperature was, well, cold. 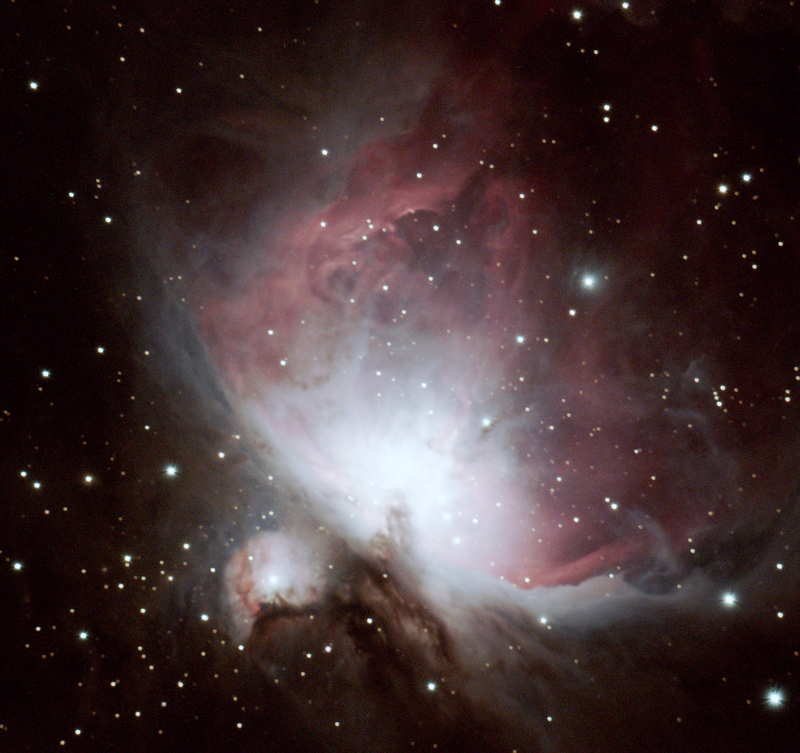 Mike was using his mostly self-assembled 6-inch f/8 Newtonian, a scope he and I had put together in an afternoon, and myself an 8-inch f/6 Newtonian cross between a Meade and a Parks Optical, and both scopes equipped with a driven German equatorial mounting. Either scope has the capability of picking out galaxies in the depths of space to a distance of beyond 60 million light-years, which is the distance of the Leo-Virgo galaxy group containing the spiral galaxy M66 in the constellation Leo. That's roughly 6 trillion miles x 60 million, which is so far out into the Cosmos that I can’t even calculate the distance on a typical calculator – all the zeros won’t fit! After we had set up, we took a break and drove down to Dunkin’ Donuts in Falmouth, which was open 24-hours back then, to get some coffee to bring back with us to the observing site. We set our still piping hot coffee down on a small, flat boulder nearby and resumed our observing session. Through a telescope eyepiece, most spiral galaxies appear as a very dim, homogeneous, oval-shaped patch of light, spanning about a quarter of the field of view of the eyepiece, with little or no internal detail. It is the breaking of this homogeneity by a bright knot of light that we are looking for during these scans. The method is simple enough; find the galaxy by slewing the telescope in right-ascension and center it in the eyepiece. Then slew the scope so that the galaxy is off to one edge of the field of view and slowly move the tube with your hand so that the galaxy moves across the field to the opposite edge. Moving the galaxy across the field in this way several times, while introducing an intentional tremor in the image by tapping lightly against the tube, allows the sensitive rods in your eye to pick up any breaks in the general homogeneous appearance of the galaxy. Normally, there are no breaks in continuity and we had been at this for years with nothing remarkable to note. By the way, after about an hour sitting on the boulder - our coffees were frozen solid blocks of ice which we never got to drink. Then, around 2:00am, while observing galaxy M66, a spiral galaxy much like our own Milky Way galaxy by this method, something caught Mike's eye on the second slew across the otherwise black field of the eyepiece. He had noticed a tiny, bright dot of light near the outer edge of the galaxy. Asking me to take a look at it through my scope, I thought maybe this could be a foreground comet or asteroid or a foreground star in the field of view, the only other three things it could possibly be besides a supernova. We checked the Thompson-Bryan charts and there were no foreground stars noted in the area. Comets and asteroids are moving in orbit around the sun and the thing to do would be to watch for a period of a few hours to see if this new object was stationary or moved slightly from its current position. We checked the position of the object again at about 5:00am and it hadn't moved. I was convinced that what I was observing was a star exploding in another galaxy. A thought crossed my mind… what if this star was the parent star of a planetary system in orbit around it, much like our solar system? What if one of the planets in orbit around this star harbored life of some kind, possibly intelligent life? A supernova explosion would almost instantly vaporize its planetary system far beyond the orbit of Pluto. Could I possibly be watching the extinction of an entire race of sentient beings in some far-off galaxy? With this thought, in the cold, frigid, lonely darkness, I began to tear up. It is akin to what Alyosha in “The Brothers Karamazov” might have felt in 1880 when, staggering out into the night from Father Zossima’s death-bed and “weeping even over those stars,” he perceived that “there seemed to be threaded from all those innumerable worlds of God, linking his soul to them, and it was trembling all over in contact with other worlds.” Mike and I packed up our equipment at dawn and went home, myself satisfied but slightly saddened, that we had actually watched a star explode in another galaxy. The next day, Mike contacted me by phone and said he was able to confirm a supernova explosion in spiral galaxy M66, discovered several days previously by a Reverand Robert Evans of New South Wales. In astronomical discoveries, the first two discoverers share the credit if the reports are within several hours of each other. Alas, neither Mike nor myself fell into that category - this time. The object will forever be known as SN1989B. “SN” stands for supernova. “1989” is the year of discovery and “B” means the second supernova discovery of that year. After years of searching, we had finally witnessed one of the many things in the night sky we had hoped to observe. 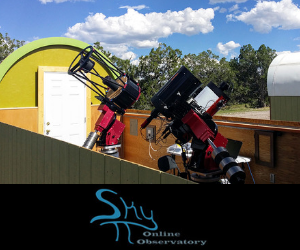 I immensely enjoyed the time I spent at the telescope eyepiece, searching for supernovae and observing other objects such as Mars, Saturn, Jupiter, comets, asteroids and many other night sky wonders. Many, many more are to come. O-Team, over and out.